A new report from Wealth-X and UBS found that the global population of billionaires is at a record high. The world has 155 new billionaires, pushing the worldwide total to 2,325. That's a 7% jump from 2013, according to the 2014 "Billionaire Census" from Wealth-X and UBS. So who is your standard billionaire? According to the report, the typical billionaire has about $3.1 billion, is 63 years old, and did not reach the $1 billion threshold until their late 40s. Almost 90% of them are married, and on average, have two kids a piece. They like to hang with other billionaires: They have relationships with nine ultra-high net worth individuals, three of whom are billionaires. 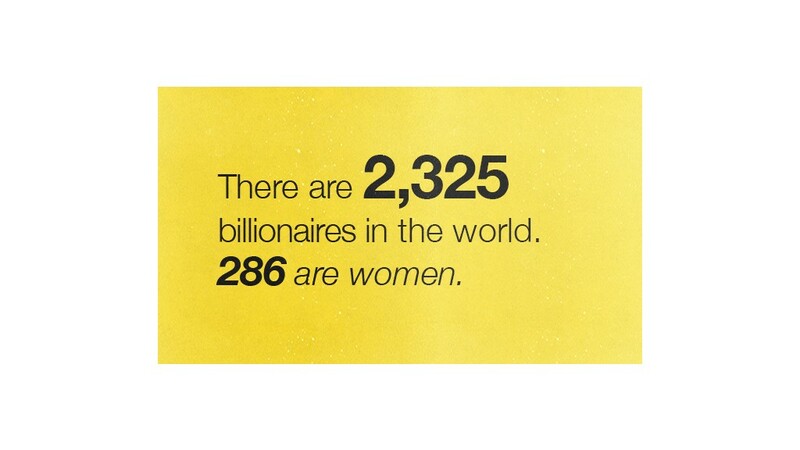 They're mostly male: Just 286 of them are women. They're self-made: About 60% of male billionaires fully made their fortunes themselves, and another 27% have at least partly made their money themselves. Though it's a different story for the women -- just 17% are self-made. More than 65% of women billionaires inherited their wealth. They own a lot of stuff: The typical billionaire owns four properties, each worth an average of $23.5 million. About 35% of billionaires have their own private philanthropic foundations, and one in thirty billionaires owns a sports team or a race horse. Education isn't required: Not all billionaires have a wall full of degrees. In fact, the report states that 35% of global billionaires do not have bachelor's degrees. For those who did go to college, University of Pennsylvania tops the list of schools with most billionaire undergraduate alumni. Unsurprisingly, Harvard, Yale and University of Southern California follow, but University of Mumbai and Moscow State University aren't far behind. However, 16 of the top 20 are in the United States. And where do they live? 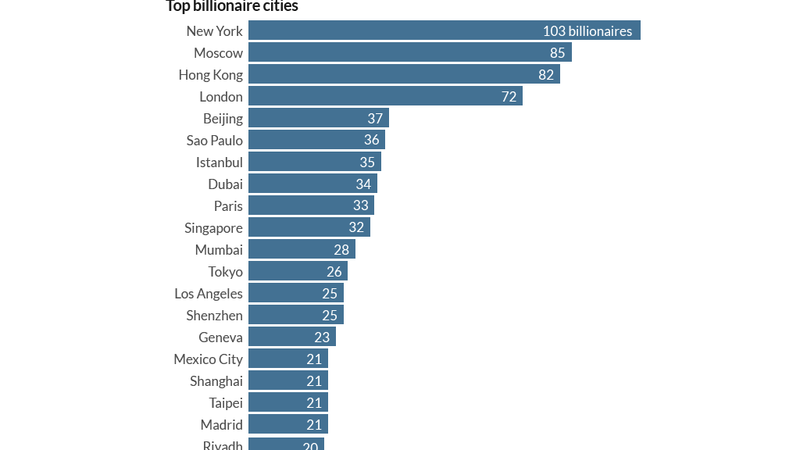 : Nearly 35% of the world's billionaires are concentrated in 20 cities, only two of which are in the United States. Despite that, the U.S. has the highest number of billionaires, accounting for close to 25% of the world's total billionaire population. This year alone, there were 57 new American billionaires.